[dropcap color=”#008040″ boxed=”yes” boxed_radius=”8px” class=”” id=””]I[/dropcap]n our previous article we had given an introduction to the NSEL Crisis of 2013 and the factors contributing to ballooning the size of default to Rs. 5600 crores ($816 million). The purpose of our posts on NSEL, like most posts on PGurus.com is to highlight facts which seem to be conveniently ignored by the main stream media (MSM). In this post we are going to focus on the investors and how more than 55% of small and medium investors can be fully repaid almost immediately! Why was an exchange allowed to run for so long if it was issuing illegal contracts before FMC pulled the plug on it? I believe the public at large is now familiar with the NSEL crisis from 2013 and has the following summary perception – NSEL a spot commodity exchange traded illegal forward contracts designed by Jignesh Shah which caused a loss of 5,600 crores ($816 million) to 13,000 vulnerable retail investors who had invested their entire life-time savings in NSEL. There are various issues with this situation. Why was an exchange allowed to run for so long if it was issuing illegal contracts before FMC pulled the plug on it? Regulatory vacuum, insufficient oversight by the Ministry of Consumer affairs and lack of powers with the Forward Markets Commission (FMC) are to be blamed here. In addition, the actions of FMC in the wake of the discovery are also suspect. When these contracts were found illegal, why did they terminate the contracts abruptly without allowing the investors to unwind their positions which would have led to almost negligible loss to investors? [dropcap color=”#008040″ boxed=”yes” boxed_radius=”8px” class=”” id=””]H[/dropcap]ow was this illegal product marketed to such a large number of retail investors? Nobody saw any TV ads, billboards or newspaper advertisements for these. This was the job of the very efficient brokerage industry. The brokerage firms, which run on commission, markets products based on investor requirements. These brokers have the fiduciary responsibility to work in the best interest of their clients. They seem to have failed in this and some have called on the investors to sue the brokers first for mis-selling. 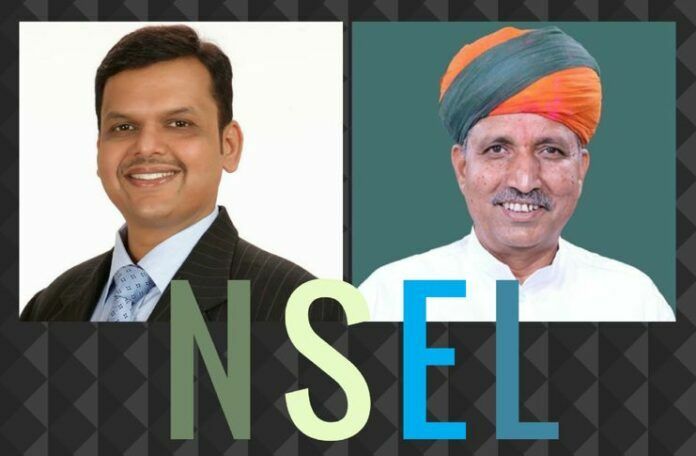 Finally coming to the action items reported from the meeting of Chief Minister of Maharashtra Devendra Fadnavis (@Dev_Fadnavis) & Union Minister of State for Finance and Corporate Affairs Arjun Ram Meghwal (@arjunrammeghwal) via a series of tweets. They highlighted that up to now ₹527.19cr ($76.8 million) has been returned to investors. 100% has been returned to small investors, 50% to medium investors & on pro rata basis (approximately 6%) to all other investors. To ensure that people get back their money at the earliest both leaders asked officials to speed up the probe, attach properties of defaulters and file final chargesheet. Subsequently an additional DCP S Jayakumar in the Mumbai Economic Offences Wings (EOW) has been assigned to expedite the proceedings. Despite the limited media reporting on these welcome steps by both leaders, the results should bring immediate respite to the large number of small retail investors. 1. The conversion rate used in this article is 1 USD = 68.64 Rupees. 3. The views expressed here are those of the author and do not necessarily represent or reflect the views of PGurus.